By the seventh century, the Pictish ruling classes had completed the conversion process, cementing Christianity as Scotland's main religion. Having been isolated from the Church in Rome following the Anglo-Saxon conquest of Britain, however, Christianity in the British Isles followed two different forms of liturgical traditions. The "Ionan" practice, established by the Irish monks based in the monastery in Iona, followed traditions established within Celtic Christianity, whereas adherents of the "Roman" tradition kept observances according to the customs of Rome. Some Celtic distinctions included a distinct clerical tonsure, or method of cutting hair, which involved cutting away the hair above the forehead instead of shaving the top of the head; private forms of confession and penance instead of public rites for the sacrament of Reconciliation; a differing administrative structure; and the retention of an older method for the calculation of the date of Easter. By the seventh century, Continental Catholicism had adopted an ecclesiastical administrative structure consisting of one bishop, who resided in a "see", or city able to support a cathedral, for each diocese. This system, however, had been based on the administrative structure of the Roman Empire, of which most of the Celtic world had never been a part. In place of diocesan administration, then, a structure emerged based on the monastic networks ruled by abbots who were the kinsmen of local royal families. Being monastic, abbots were not necessarily ordained to the priesthood, so bishops were still necessary for certain reserved sacramental functions, but unlike on the Continent they had little authority within ecclesiastical administration. Celtic Christianity also used a different formula for calculating the date of Easter than did the Church in Rome. 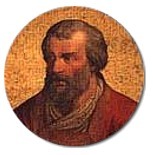 While the Roman Church had fixed the date of Easter at the First Council of Nicea in 325 A.D. using a complex luniosolar calendar, Ionian tradition was still celebrating the feast on the fourteenth day of Nisan (the first lunar month of the Jewish Year and the date of crucifixion according to John 19:14) as late as the 660s. These two traditions co-existed in the Kingdom of Northumbria, as different monarchs had alternately encouraged each. But after an Ionan monk was elected Bishop of Northumbria in 661, the king, a Roman adherent, decided to summon a synod to determine one dominant tradition for the kingdom. 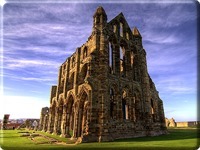 The Synod of Whitby convened in 664 to settle the date of the Easter celebration. Ionan adherents argued that Easter should be celebrated on the fourteenth of Nisan on the grounds that it was the practice of Saint Columba, founder of their monastic network and a man of unquestionable holiness, who himself had followed the tradition of Saint John the Evangelist. The Roman bishops, on the other hand, argued that Northumbria ought to celebrate Easter according to the customs of Rome because its bishops were the successors of the apostle Peter, to whom Christ had given the keys to the kingdom of heaven. The Synod of Whitby was concerned about more than the date on which the country celebrated Easter: the central issue was the level of autonomy British churches could have from Rome. King of Northumbria ruled in favour of Roman practice, thus bringing the British church in line with the European mainstream. 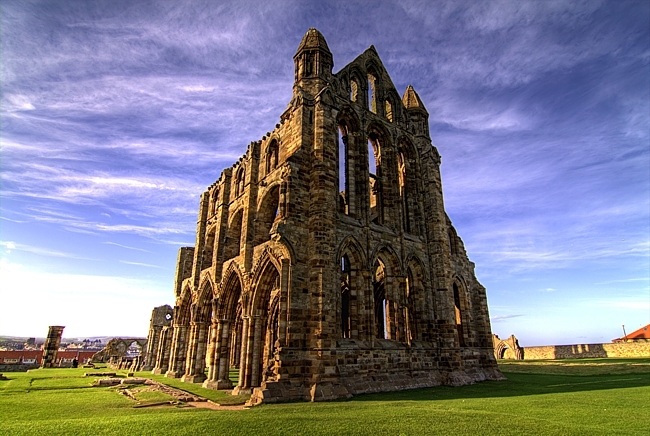 The Synod of Whitby resulted in the Romanization of the church in Britain, and the anti-Roman, anti-episcopal symbolism of a pre-Whitby "Celtic Church" was not lost on supporters of the Reformation. Following the synod, Roman customs began to influence Scottish practice more. The country also began to adopt a closer connection to Saint Andrew; by favouring one of the Twelve over its own Saint Columba, Scotland was able to further conform to mainstream European practice. Nevertheless, the relationship between the Church in Scotland and the Church in Rome was ambiguous until the eleventh century. While the Synod of Whitby had settled the date of Easter, Scotland still preferred the type of monastic organization practiced in Ireland over a central diocesan structure. After the Norman Conquest of 1066, however, both the Archbishops of York and Canterbury claimed authority over Scotland. In 1192, Pope Celestine III issued a Papal Bull to recognize the independence of all Scottish bishoprics (except Galloway) from York and Canterbury. Scotland, however, received no Archbishop, leaving the whole of the country directly subjected to Papal rule. This persisted until 1472, when Scotland first Archbishopric was created at St. Andrews. Thus, after these ecclesiastical reforms the Scottish Church became an integral part of the Roman communion. As the Church in Scotland flourished under royal patronage, clerics and nobles migrated within each other's spheres of influence. By the thirteenth century, the church had amassed great wealth, and a huge economic disparity had emerged among the clergy. Whereas the low wages offered to parish priests allowed them only to live the most austere lives, bishops enjoyed the same wealth as the nobility. In fact, the king often appointed nobles to be bishops of wealthy prelacies. As clerics became more like landlords, corruption soaked the upper levels of ecclesiastical administration. By the fourteenth century, Scottish monarchs were passing acts to check papal "aggression" as the popes attempted to extend power over the appointments of bishops. As Renaissance humanism infiltrated Scotland from the Continent, critical theological reflection led to calls for ecclesiastical renewal. By the sixteenth century, the Scottish Church was ready to break away from Rome.